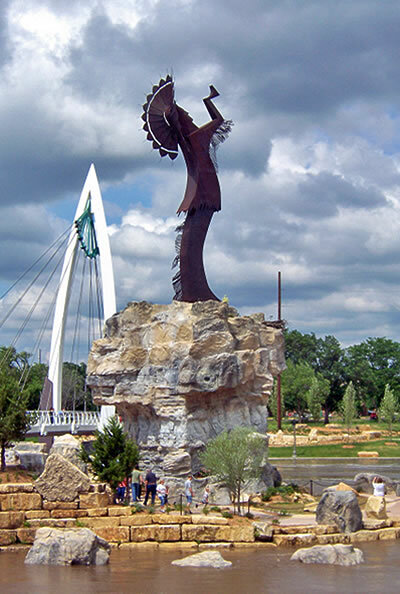 The Keeper of the Plains is a finalist for the 8 Wonders of Kansas because it is an awe-inspiring sculpture by well-known artist Blackbear Bosin that honors the region's original citizens and has become a symbol of Wichita! recognized artist, muralist and designer. It was Bosin's gift to the city. 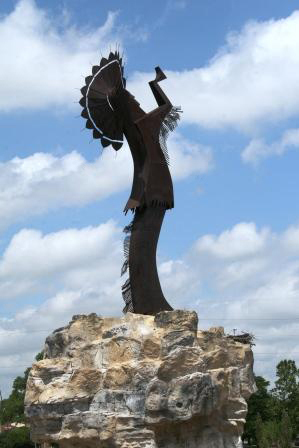 The five-ton sculpture was placed at the confluence of the little and big Arkansas Rivers which is considered a sacred site by Native Americans and was home to the Wichita tribe for many years. The 5-ton Keeper has recently undergone a renovation and now rests atop a new 30-foot pedestal facing east. 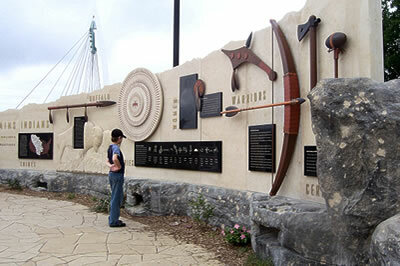 The Keeper Plaza incorporates the history of the Native Americans and embodies a "sacred hoop" and the four elements that make up life (earth, air, fire and water). Friday-Saturday nights: 9, 10 and 11 p.m. for 15 minutes. Sunday-Thursday nights: 9 and 10 p.m. for 15 minutes. Friday-Saturday nights: 7 and 8 p.m. for 15 minutes. Sunday-Thursday nights: 7 p.m. for 15 minutes.